Casey Kimbler sent in his tattoo of Majora’s Mask. He got it from Classic Tattoo in Wichita, TX. 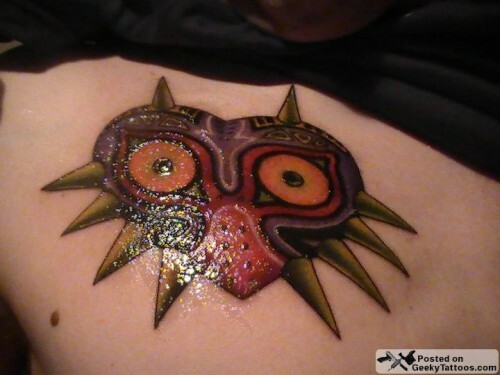 Tagged with chest, Classic Tattoo, Legend of Zelda, Majora's Mask. Wouldn't it be Wichita Falls, TX? Wow great detail, really well done!